Lahaina is a Maui hot spot with dozens of art galleries and a variety of unique shops and restaurants. It's also rich in history as a former whaling village with an oceanfront setting that provides a perfect backdrop for Maui entertainment and activities. Lahaina is home to West Maui's primary harbor and is a departure point for whale watching, snorkeling, scuba diving and deep sea fishing tours as well as sunset sails and dinner cruises. Scuba divers and snorkelers will enjoy a visit to Molokini Islet about three miles offshore where you can swim amidst fascinating marine life in a half-submerged volcanic crater. Many ocean activities are available at Lahaina area beaches from bodyboarding and surfing to snorkeling, kayaking, fishing, sailing, stand up paddle boarding and parasailing. Kids and adults alike enjoy a ride on the "Sugar Cane Train" that travels between Lahaina and Kaanapali. The open-air coach provides panoramic views as a guide points out interesting sites. A host of other activities are also available in Lahaina and nearby from ziplining to hiking and visits to historic sites. Visitors also enjoy day trips to other areas of Maui including the summit of Haleakala Volcano and the scenic drive to Hana town. Lahaina's coastline is a bit rocky with limited sand so the best beaches for swimming and sunbathing can be found just to the north and south. The exception is Baby Beach which is a small stretch of beach where typically calm conditions make it popular for children. Wahikulu Wayside Park is a nice swimming beach with a gentle sandy seafloor located north of Lahaina, and just south of Lahaina is Launiupoko State Wayside Park bordered by green grass area with picnic facilities. Also south of Lahaina is Olowalu Beach known for great snorkeling and also for nice surfing waves when the conditions are right. Surfing spots in Lahaina town include the surf break in Lahaina Harbor, and also "Breakwall" and "Shark Pit" surf spots just south of the harbor. For more fun on the western shore head north to Kaanapali and Kapalua or south to Wailea to experience some of Hawaii's very finest beaches. Lahaina offers a wide assortment of dining choices from Italian, Mexican and Thai food to Hawaii Regional Cuisine featuring fresh seafood and locally-grown produce. From casual dining and family restaurants to epicurean delights prepared by master chefs there is something for everyone in Lahaina. The Lahaina Grill is located in a historic inn with a unique 1890s decor and serves up innovative American cuisine featuring fresh local seafood and products from local farms and dairies. The popular restaurant is often one of the busiest in Lahaina. For beachfront fine dining try The Feast at Lele on Front Street featuring Polynesian cuisine and hosting a memorable dinner show staged by highly talented performers. This is a great place to sample some traditional Hawaiian dishes like imu-roasted kalua pig. Lahaina has a very walkable downtown area with lots of boutiques, art galleries and upscale stores as well as conventional shops and services, and both indoor and open-air shopping centers. Every Friday evening is the Lahaina "Art Walk" allowing you to browse through dozens of galleries and meet featured artists. Renting a car is recommended when visiting Lahaina so you can visit the area's many beaches and historic sites and also enjoy day trips to Haleakala Volcano, "Heavenly Hana" and other Maui attractions. Maui's public bus system operates 7 days a week and provides service between most major communities including West, South and Central Maui including Haiku, Kula and the Maui Upcountry. Expect temperatures between 70 and 80 degrees F most days, sometimes dipping into the 60s during winter and topping 90 during the hottest days of summer. Trade winds typically help to make conditions comfortable even on the warmest days. Higher elevations such as the summit of Haleakala Volcano can see very cold temperatures so bring some warm gear if you are driving to the top. The west and south sides of Maui generally enjoying nice weather year-round while the north and east shores are more exposed to the northeast trade winds and see more rain, though the weather is also considered very desirable. Ocean conditions vary each day though typically the Lahaina ocean conditions are relatively calm and hospitable for water activities. For water sports and swimming visit Maui's lifeguarded beaches and ask about the conditions on that day for the activity you choose. 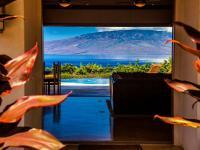 From beachfront homes to condos in premier resort locations, we have Lahaina rentals to suit your needs. Lahaina vacation homes provide a great way to enjoy your Hawaii vacation with all the luxuries of resort living and the comforts of home. Browse through our Lahaina vacation rental listings to get an understanding of the different amenities and property features we offer. 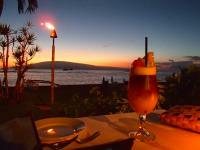 Our goal is to provide you with a with an unforgettable Lahaina accommodation for your dream Hawaii vacation. 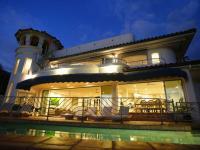 We take pride not just in having the largest selection of high-quality vacation rentals in Lahaina but also in the fact that we stand behind our product and make sure only the best of the best Lahaina properties are listed on our site. If you have questions about our Lahaina rentals or which destination is best for your vacation needs, please give us a call and we will be happy to assist you. Lahaina was once the capital of the Hawaiian Kingdom and home to many royalty and high chiefs. During the early and mid-1800s Lahaina was home to some of the first American missionaries to come to the Islands, and also was visited by many hundreds of whaling ships which came to restock their provisions and give crew members shore time to relax between journeys. Boisterous whalers clashed with missionaries in Lahaina, and many structures from this era can still be seen including the Old Lahaina Prison where unruly sailors were kept. A self-guided Lahaina walking tour is a great way to learn about the area's rich history of sea captains, missionaries and Hawaiian royalty. Informative plaques provide details about the various historical sites.